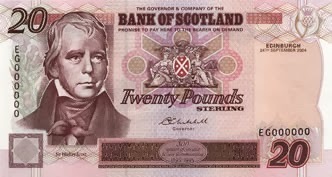 Part 1 of this series covered the SNP plan for a full currency union between an independent Scotland and the rest of the UK (rUK), to be known as the Sterling Area; and its rejection by the main UK political parties. Part 2 discussed the SNP's furious but severely flawed response. I will now look at what this may mean for the independence vote. The strategy of the Yes campaign seems clear. If the unionist parties had agreed to a Sterling Area, or at least did not oppose it in advance of the referendum vote, all well and good. The SNP could claim Scottish salaries, pensions and bank accounts would operate exactly as before. Scots could spend their money in Berwick or indeed in Cornwall with no additional difficulty, as could English visitors in Edinburgh or Stornoway. From a purely cynical point of view, this may be highly effective, but it will incur a cost to the SNP's credibility. It must be acknowledged, Osborne's very existence plays into the hands of the nationalists. He is a Conservative MP, born in London, the son of a baronet, and a millionaire through inherited wealth. He was educated at the exclusive St. Paul's school, and then at Oxford where he joined the infamous Bullingdon Club drinking society. In office, Osborne has presided over savage cuts to spending on the poorest, and reduced taxes for millionaires like himself. Unlike his colleagues David Cameron and Boris Johnson, he cannot even pretend to be a cheerful and good-natured aristocrat. He was booed by a stadium crowd at the 2012 London Paralympics when he turned up to present some medals. If you wanted to select someone to annoy and disgust Scottish voters, Osborne would be an excellent choice. 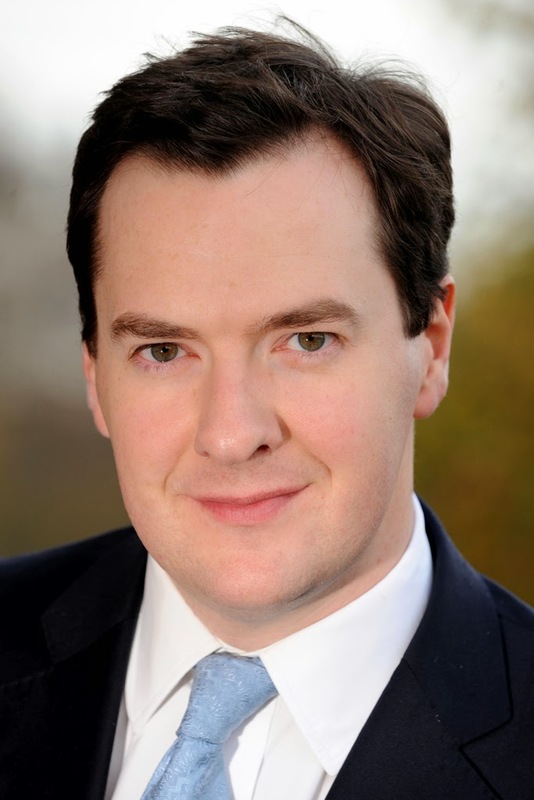 George Osborne, Chancellor of the Exchequer and pantomime villain. However repulsive Osborne may be, his personality is completely irrelevant. If Osborne is run over by a bus tomorrow, the policy of the unionist parties will remain exactly the same. The next UK general election will take place in May 2015, after the referendum but before any realistic date for Scottish independence. If Labour wins and Ed Balls becomes Chancellor, the rUK government will still be committed to rejection of the Sterling Area. But if the only propaganda that comes from the Conservatives is 'Britain says No', it's bound to have a reaction in Scotland. It is bound to make people feel that people are talking down to us or are not taking us seriously or are trying to bully us. Maybe the UK government could have found a better way to present its rejection of a Sterling Area; but they decided to have Osborne make a very blunt speech in Edinburgh, and now must live with the consequences. However, this is a criticism of style, not substance. The UK government has every right to refuse a Sterling Area and cogent reasons for doing so. As the Americans might put it, politics ain't beanbag. It's a rough business, and the referendum has much higher stakes than an ordinary election. We can expect both sides to fight hard, and if necessary to fight dirty. The SNP are well aware that if they lose this vote, there may not be another for a long time. In Canada, Quebec voted No to independence in 1980; held a second referendum in 1995; and nearly 20 years later, its electorate shows no appetite for a third try. Salmond himself knows this is his only chance of leading Scotland to independence; he is 59 years old and most unlikely to remain in office for another 15 or 20 years. The SNP's vigorous attempts to cast Osborne, the Conservative party, and England as the villains of the piece are to be expected. Its threat to repudiate Scotland's share of the UK national debt may be misguided, and could well end up hurting Scotland more than rUK, but it is commendably clear and straightforward. It is an exaggeration for the SNP to say transaction costs make a Sterling Area the only rational choice, but it is a valid argument. On the SNP's own estimate, additional transaction costs would be only 0.04% of GDP for rUK, but those costs would fall most heavily on northern English regions which are not well able to afford them. I am a little surprised the SNP has not made more of the fact that rejecting a Sterling Area will punish Berwick and Carlisle along with Scotland. Now we come to the heart of the matter: No matter what the SNP says, the rest of the UK has a legal right to reject a Sterling Area. Doing so would eliminate the risks of a large-scale bailout for Scotland, or the collapse of the currency union at some unpredictable later date. Faced with this reality, the SNP could have responded in a dignified and principled way. They could have said: This decision disappoints us, but we believe it is mistaken, and it will not be definitively settled until formal negotiations for independence. We would strongly prefer to keep a currency union, but if necessary we will go it alone; we believe that even then, the rewards of independence would be worth it. That response would be worthy of respect. It is not the response the SNP have given. Instead, the SNP have chosen to deploy smoke and mirrors. Their claim that "the pound is Scotland's currency" is complete nonsense. The pound is an institution of the British state, which for now includes Scotland. The SNP are more than happy to demolish other British institutions when it suits them. That is the whole purpose of their existence. The SNP would like to retain some institutions, such as the BBC and the currency, in an updated form. This is a perfectly reasonable aspiration, but it is not their decision alone. In the post-independence landscape, any shared agreements will require the consent of both Scotland and rUK. Their attempt to dictate the terms of a currency union to the UK parties is futile, and at least as arrogant as anything perpetrated by the No campaign. Maybe the SNP line will fool enough people to result in a net gain of votes for the Yes campaign. In that narrow sense, it may be a success; but whether it is or not, the SNP have given up something important. One of the most powerful elements of the SNP's appeal is the prospect of a fresh start. An independent Scotland could break away from the archaic structures of the British state; from the poisonous influence of international finance and the City of London; from a political establishment besotted with its imperial past, which tries to posture as a great military power at the expense of problems at home. It would be a chance to build a kinder, fairer, more rational country. It is a brave and idealistic vision. In the currency debate, we have witnessed the limits of the SNP's idealism. They may sincerely believe their line about "Scotland's pound", but if so, they have been carried away by their own spin. There is no substance to this argument, and it is profoundly misleading for them to make it a central theme of their campaign. Why have they done this thing? The only reasons I can see are ugly ones. They are playing on resentment of the English, a resentment which the SNP leadership may well share, without any attention to the facts. In the end, they are doing it because they believe it will benefit them. The SNP are nothing if not professional; this line of attack must have been tested, polled and focus-grouped. If they did not believe it would increase the Yes vote, I am sure it would have been quietly dropped. The end is believed to justify the means. Anti-English feeling and low politics have overcome reason and idealism. This is not entirely surprising, but it has implications for the SNP's other promises. The new, brighter, fairer Scotland will depend very heavily on the SNP's commitment to making it happen. In the currency debate, the SNP had an opportunity to demonstrate courage and clear thinking, and they have failed.